New research reveals how philanthropy can improve your workforce. Employees who are involved in “workplace giving” programs are more engaged and prouder of their employer, new research from The Australian Charities Fund has revealed. Workplace giving ranges in format, and includes payroll giving, employers matching donations, workplace funding and employer grants. The research showed more than 3000 employers have enabled workplace giving programs. However, of the 4000+ employees surveyed from these companies, only 34% were involved in these programs while 61% expressed interest in becoming involved. The study found a further eight million employees do not have access to workplace giving through their current employer. The study found allowing workplace giving generated more engagement in the workplace, correlating an increase in productivity. It also revealed those interested in workplace giving held the importance of their organisation’s image, as well as its community involvement, in high regard. The positive impacts on employee morale and organisational culture were highlighted in the study as direct consequences of employee giving programs. 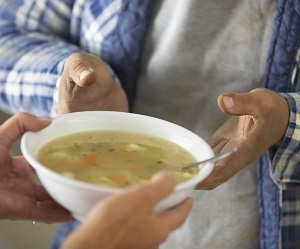 Outside of direct business benefits, the study found enabling workplace giving resulted in participating employees becoming more charitable overall. “This creates more new money for charity,” Edward Kerr, CEO of The Australian Charities Fund, said. The study found the highest-ranking forms of workplace giving were (in order): payroll giving, which is having part of an employee’s pay directly transferred to a charity; community partnerships; disaster appeals and volunteering time.